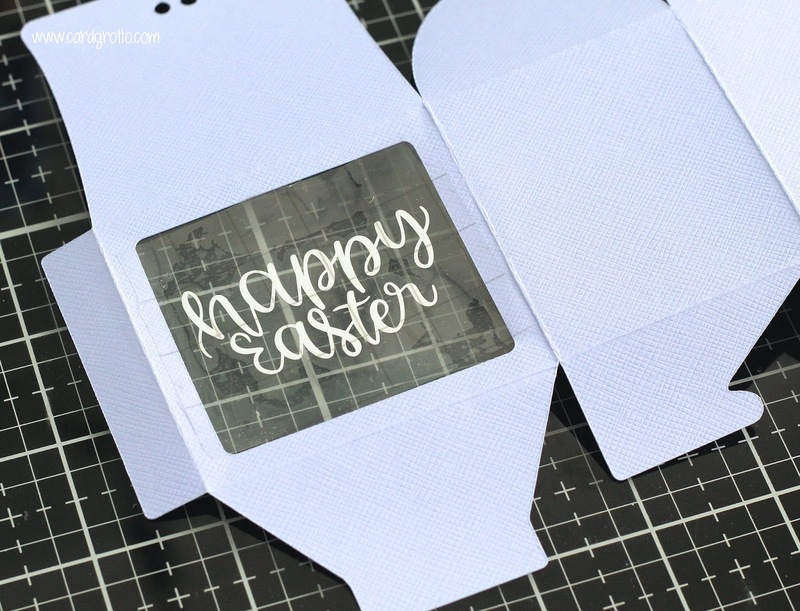 Hello there, following on from my posts reviewing the Cricut Maker and the Cricut EasyPress 2, I am back to share my final post of the series with you. Since I made quite a few projects when reviewing the EasyPress 2 (you can see that post here), I thought I would focus today on the Maker. If you haven't already seen it, you can see my review of that here). 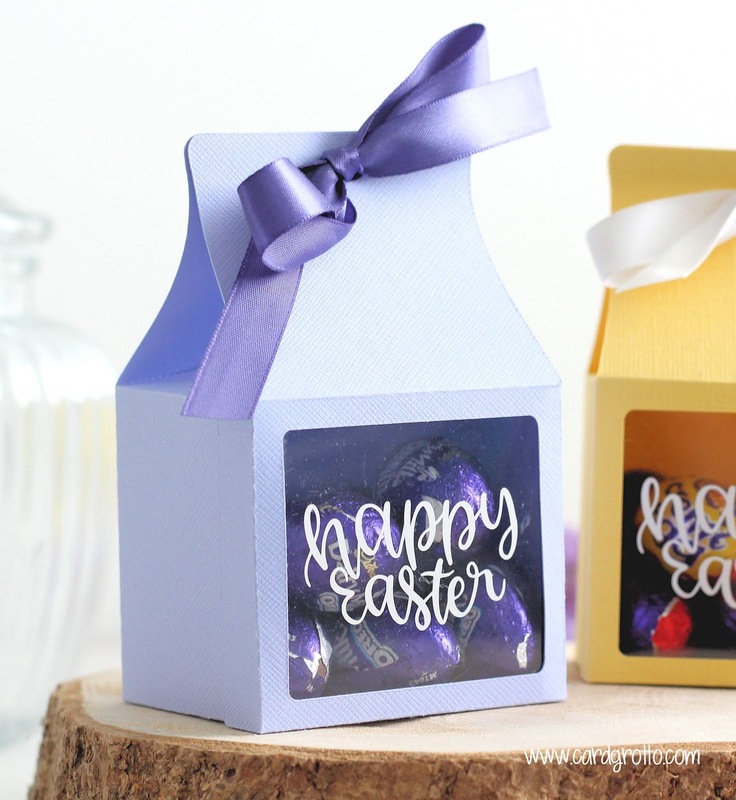 I thought it would be fun to create some Easter treat boxes as I like to make some every year. I first looked in Design Space to see if there were any ready-made projects that I could make. There was lots of different ideas on there but I decided to create something myself using the image files. First of all, I found the Chocolate Box (#M97AA7) from the Fancy Boxes collection. The box cuts an opening in the front to add a contrasting colour of cardstock behind, but I thought it would be fun to replace that with acetate and add a greeting to the acetate with vinyl. I took a piece of purple cardstock and placed this in the Maker to cut and score the box. I used the Scoring Wheel for the scoring and it worked wonderfully! 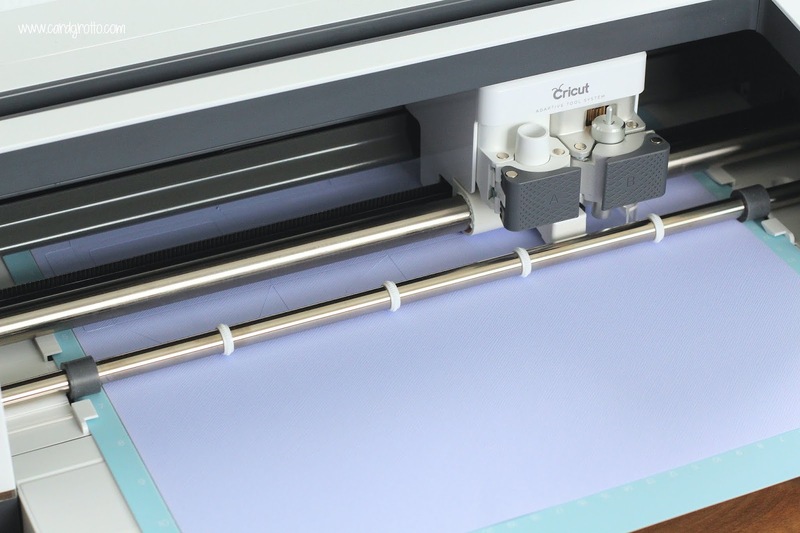 I love that Design Space tells you to add the Scoring Wheel in first, it does what it needs to do and then it prompts you to add in the Premium Fine Point Blade to do the cutting. 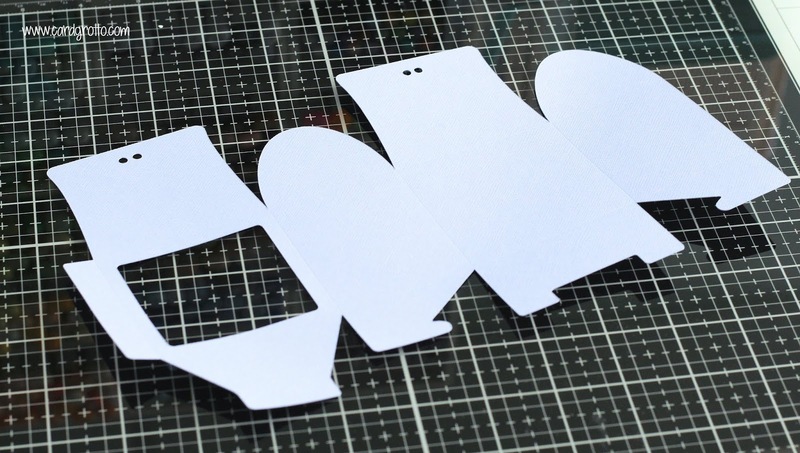 Once the boxes were cut I added a piece of acetate behind the opening. You can get the Maker to cut this for you but I decided to just adhere a piece behind the window. I then worked on the sentiment for the window. 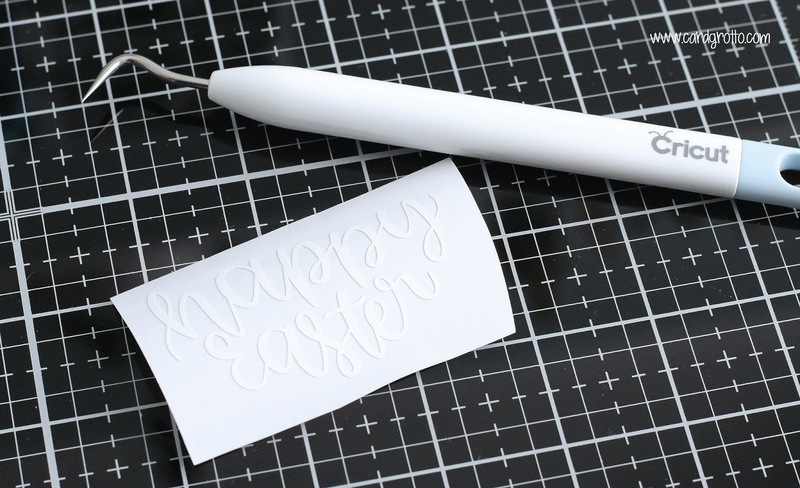 I found a sentiment in Design Space images called Hippity Hoppity Happy Easter (#M9FFC85C) from the Shake Your Bunny Tail collection. I didn't want the whole phrase so I edited it to remove the hearts and the 'hippity hoppity' part. This was cut on to white vinyl. I weeded the sentiment and then using Transfer Tape, I added the vinyl wording to the acetate. I found that the scraper tool from the Essential Tools Set helped with this. 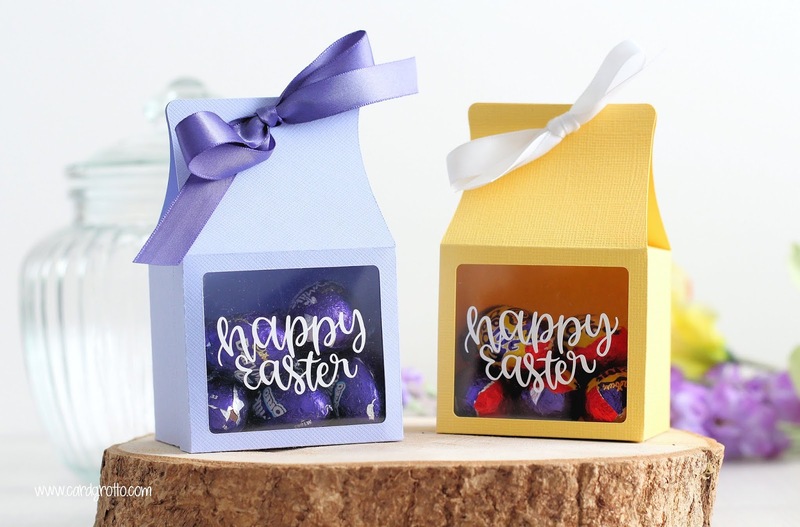 I then constructed the boxes (they assemble very easily) and added mini chocolate eggs inside. To finish off, I added ribbon through the top holes to tie them together. 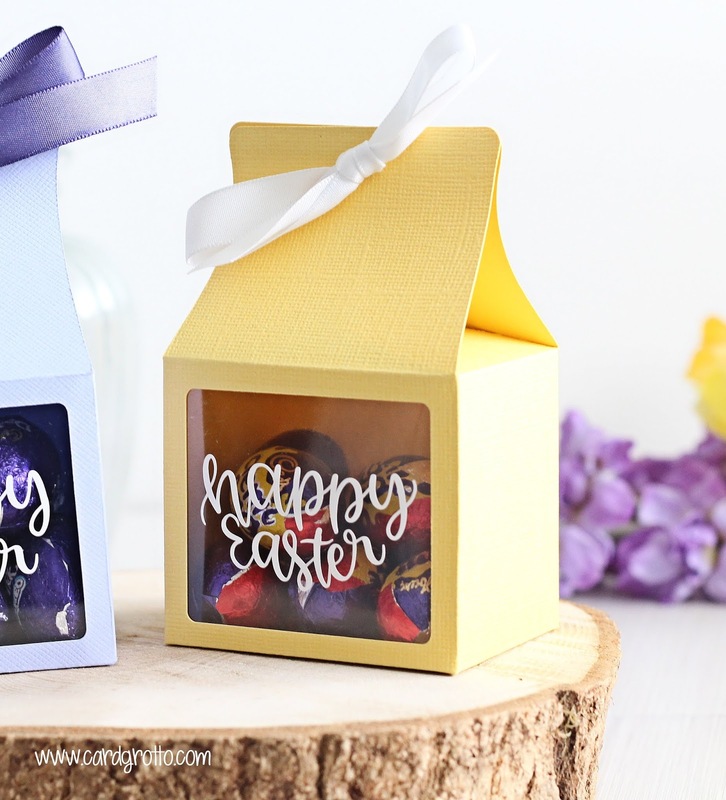 I did make the boxes a little bigger than they originally are in Design Space to accommodate my eggs but that is the great thing with using the Maker to make things like this, you can make them any size you need to. I have had a lot of fun working with the Cricut Maker and EasyPress 2 over the last couple of months. It has been really nice to do something different. I hope you have enjoyed the series and I hope to share other things that I make with the machines soon. Thank you so much for stopping by today, I really do appreciate it.